As expected, with true German efficiency, Berlin Marathon was expertly organised and had all the bells and whistles a runner can dream of. What SCC events can’t promise you though is your own performance. For me there were two performances of the day on Sunday, firstly Kipchoge’s marathon world record and secondly my friend Jamie who steadfastly stuck to his goals securing a 10 minute PB. He worked so hard and planned every inch of his race, prep and execution to a tee. Congrats to Jamie and Alex, part of my little Berlin crew! For me Berlin was bittersweet. I’ve shared by positive thoughts about Berlin on Instagram but these took me an hour and a glass of wine on Sunday to find. The expo was busy and large but felt special in the old Templehof airport departure hall, the tracking app worked perfectly, start zone and bag check were efficient. Aid stations, food and toilets were plentiful, support loud and frequent. My bag even made it to me before I’d seen the right bag drop pen. I highly recommend the race to those of you who want an international road marathon (I still prefer Seville). 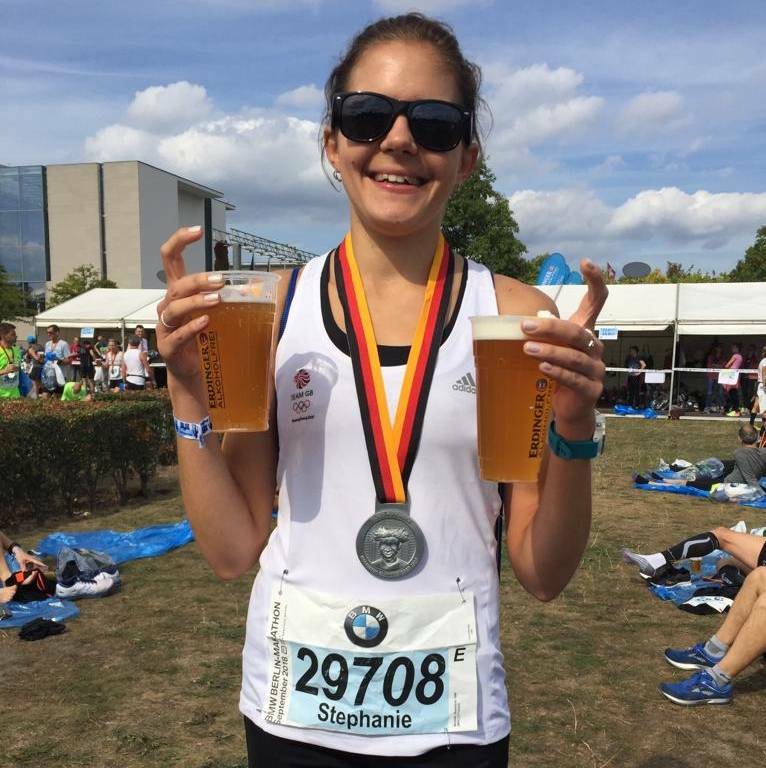 That’s the positive, but mainly I felt frustrated and disappointed with myself after Berlin marathon. It comes down to this…. You won’t run a fast road marathon, if you don’t train for a fast road marathon. This was my 16th marathon, I should know better but dear reader, it never gets shorter than 42.2km and if you don’t respect the distance it won’t give you what you want. Here I am 2 days later with not a single ache in my legs, which just goes to show you how little I gave out there physically. 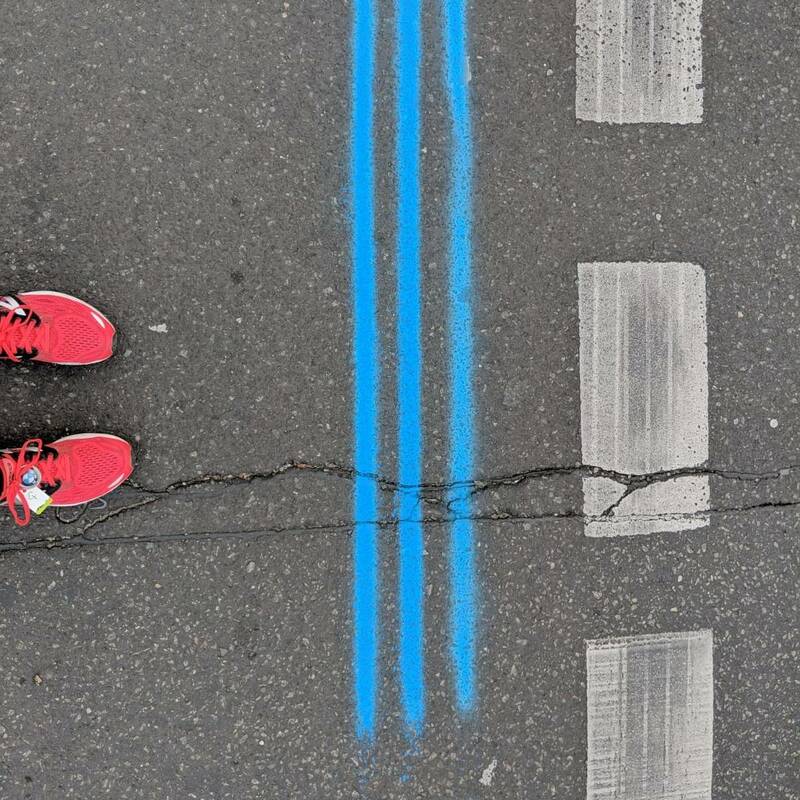 Those 3 blue lines guiding me around Berlin’s streets chewed me up and spat me out mentally. 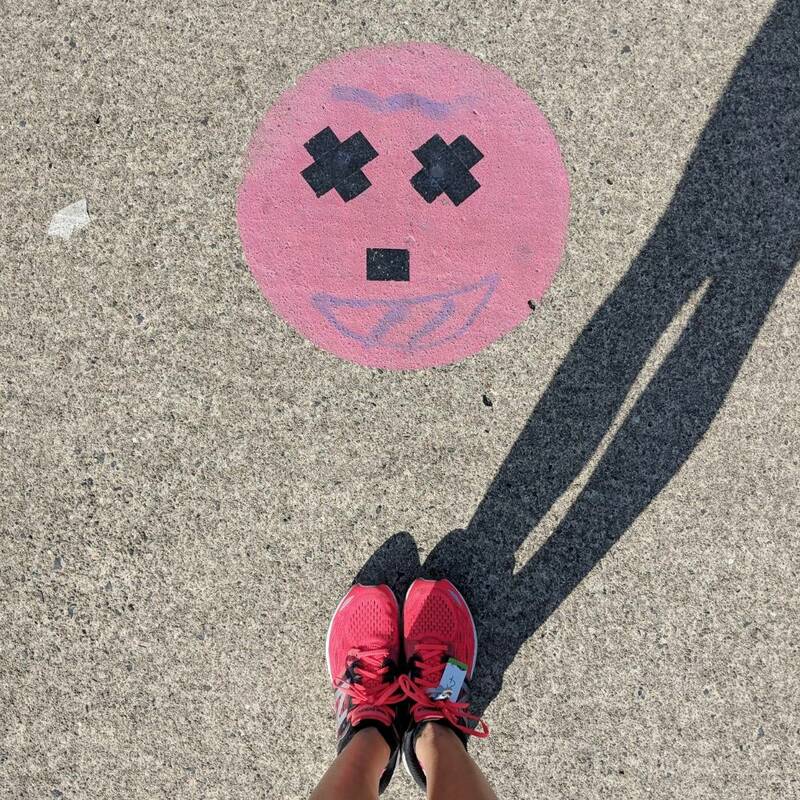 I always say and I will continue to say, that stepping up to marathon distance (if you are already a runner) has nothing to do with your running ability, it is all in your head. You need to be confident enough in yourself and with yourself to spend four hours in your own company. I’ve deliberately not listed my time here, do not think of me as ungrateful. 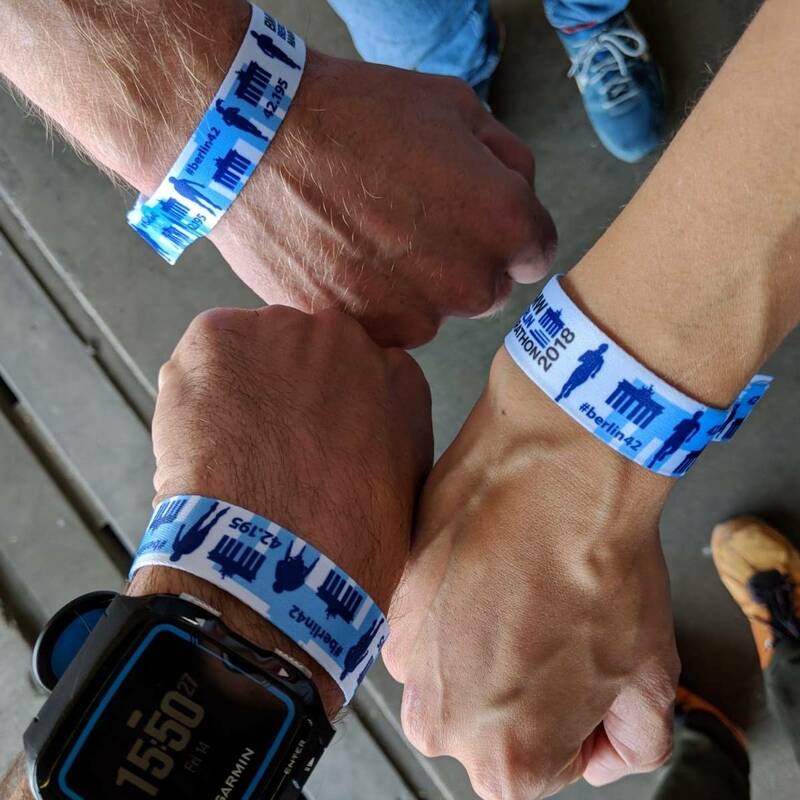 I know that many people dream of the time I did in Berlin, but it’s all relative and times give you no idea of the personal battles on the course. One of the things that running in the hills has taught me is that time is arbitrary. What really matters when you run is how your heart feels, how your head feels and how your legs feel. Breathe in the clear air, look around you and treasure the moment. One day I won’t be able to do this. For previous marathons, I have a 12 week cycle of long runs with speed work sessions with my club to match. I’ve played around with other aspects of my training but it pretty much stays the same. For Berlin, I’ve had 12 weeks of fun, I’ve cycled stages of the Vuelta, I’ve run up hills Americans call mountains, I’ve done triathlons, I’ve got 10k PBs, I’ve got drunk, I’ve let my hair down, I’ve found someone to share all this with and I’ve changed jobs. What I didn’t do was train for a fast road marathon and that my friends is not what I got. What I have got is a full heart, happy memories, adventure, new challenges and some heavy legs. 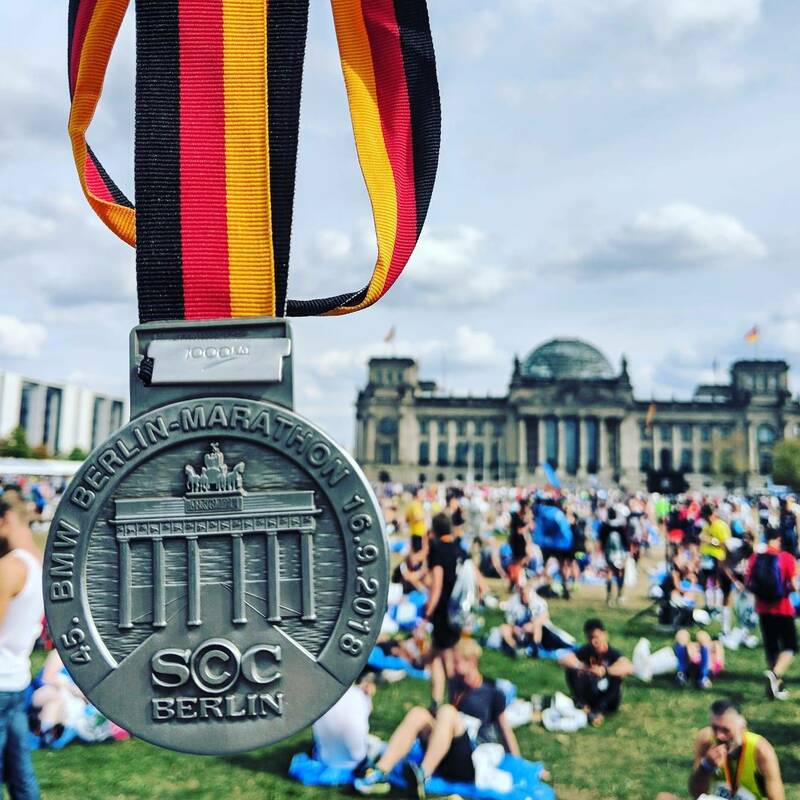 I’ve done Berlin, got my 4th World Marathon Major and fallen a little bit out of love with running. But ultimately, I’m down, but not out. Highly daunted by the races I have coming up however Per Ardua Ad Astra.